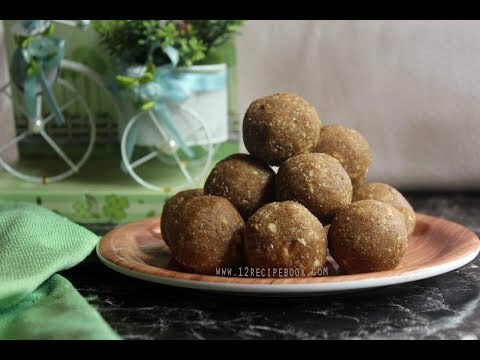 Check out the video of making Amrutham podi laddoo to ease your cooking. Also please don't forget to subscribe my You Tube Channel: "12recipebook"
Normally; the powder is used to make a porridge and given to babies. 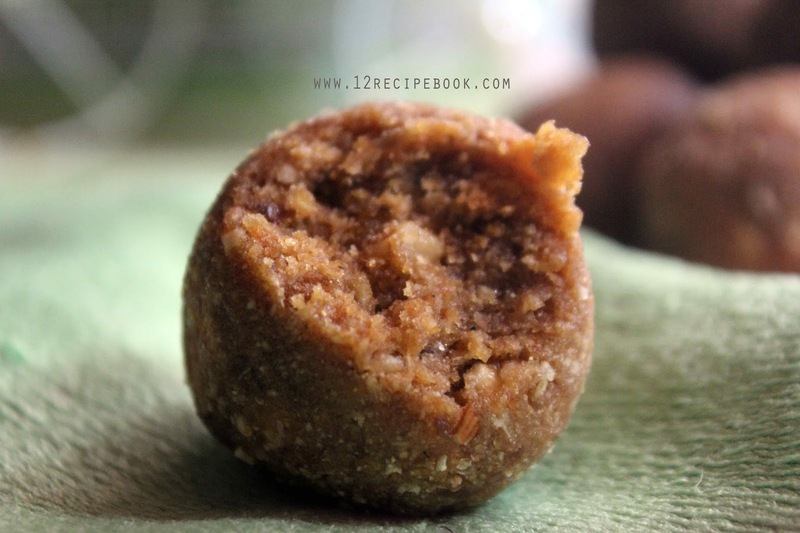 Here is an easy and purely healthy sweet recipe using Amrutham podi. Try it out and leave your feed backs here. In a pan add amrutham podi; Dry roast it on low flame for about 5 minutes or until turns aromatic (without changing it's color). Add it in to a large mixing bowl. 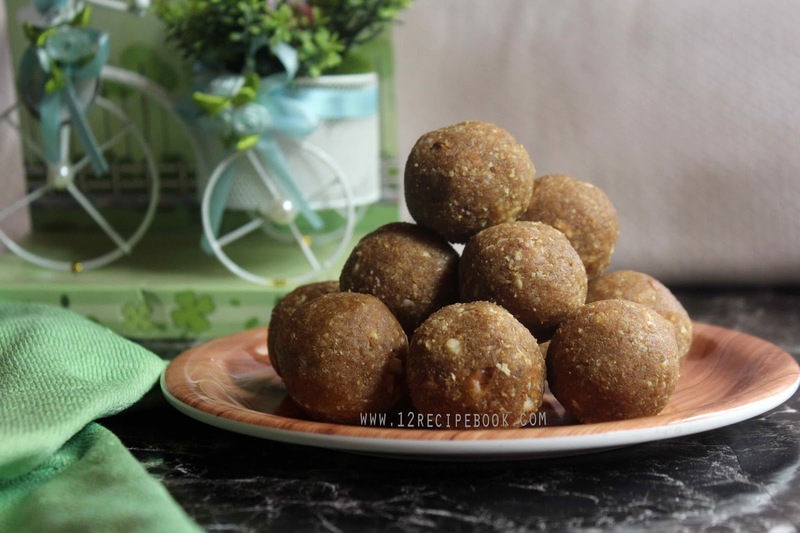 In a blender add cashews and almonds; powder it coarsely (having tiny granules to bite). Transfer it in to the amrutham podi bowl. Next in the blender add grated coconut and chopped dates. Blend coarsley and add it in to the bowl. Now mix all the ingredients by crumbling well with your hands (it become sticky in texture). 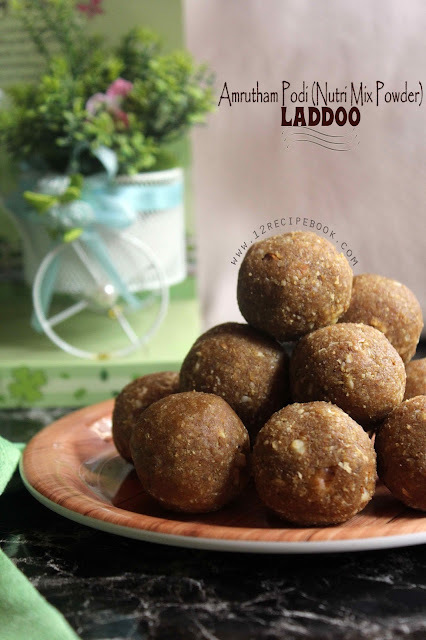 Grease your hands with ghee and start making laddoos out of it.